Jared was born in Kansas and was raised in Gillette, WY before moving to Wichita as a teen. He attended Butler County Community College for Graphic Design and moved in 2014 to Olathe after his wife Nicole took a position at Children’s Mercy Hospital in Kansas City. 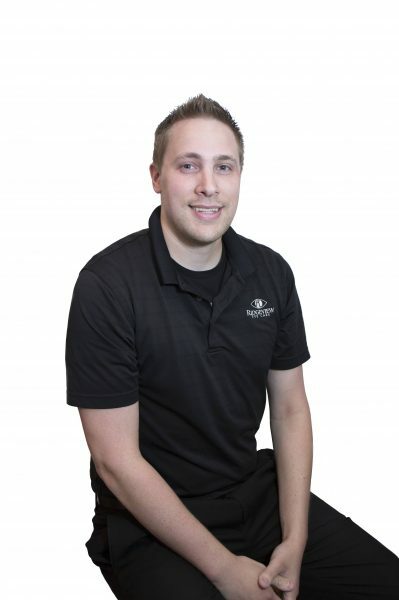 Jared has worked in the retail industry for 10+ years and has a passion for connecting with people and providing great customer service. Being new to the eye industry, he is excited about gaining new and valuable experience and giving the best care possible to patients. In his free time, Jared enjoys spending time with his French-English bulldog, Anberlin, playing board games with family and friends, collecting vinyl records and watching every sporting event possible.